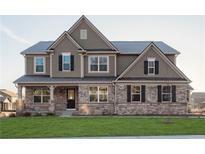 Below you can view all the homes for sale in the Preserve At South Lake subdivision located in Greenwood Indiana. 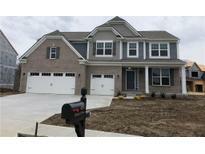 Listings in Preserve At South Lake are updated daily from data we receive from the Indianapolis multiple listing service. To learn more about any of these homes or to receive custom notifications when a new property is listed for sale in Preserve At South Lake, give us a call at 317 979 0009. Photos shown may be an artist rendering, model home, or of the same model but located in a different Lennar subdivision due to current construction stage. MLS#21626944. CENTURY 21 Scheetz. Photos shown may be an artist rendering, model home, or of the same model due to current construction stage. 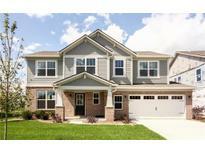 MLS#21625563. CENTURY 21 Scheetz. Photos shown may be an artist rendering, model home, or of the same model. MLS#21622728. CENTURY 21 Scheetz. Photos shown may be an artist rendering, model home, or of the same model due to current construction stage. MLS#21622182. CENTURY 21 Scheetz. The second level features a spacious owner’s suite with a large bathroom with shower, dual sink vanity, private water closet and large owner’s closet along with 4 bedrooms, a loft space for casual family gatherings and a hall bathroom. Come tour the Brunswick today. MLS#21618592. CENTURY 21 Scheetz. Granite counter tops and large island and pantry. MLS#21614969. F.C. Tucker Company. Photos shown may be an artist rendering, model home, or of the same model but located in a different Lennar subdivision due to current construction stage. MLS#21612580. CENTURY 21 Scheetz. The second level features an owner’s suite, 4 large bathrooms, large closet & a loft space for casual family gatherings. MLS#21610511. CENTURY 21 Scheetz.